Welcome crafty friends, it's Kathi today to host the blog. 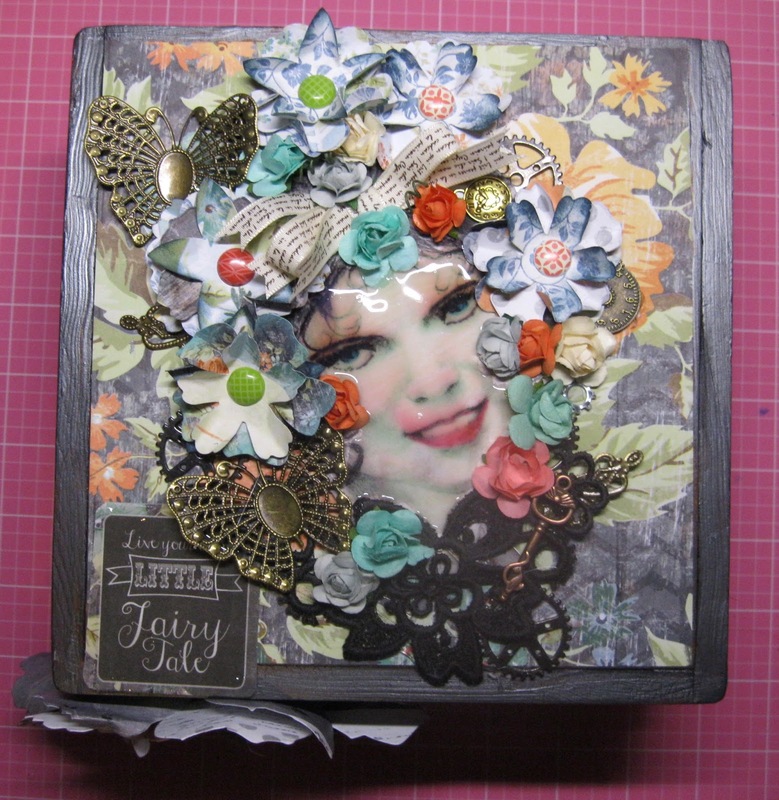 I am sharing with you a altered cigar box. I painted the box with Metal creamy acrylic paint. Next the box was covered with 49 Shades of Grey papers. Full view of the top of box. Glossy accents was used to cover the ladies face. I completed by embellishing with black gears, metal key and butterfly and roses that coordinate with the paper line. A bow was placed on the photo then embellished with roses and flowers. The flowers were created with floral dies and brads used for the centers. Metal embellishments are placed around the flowers and the bow. Front of the box, the large flower is cut from the paper line using Extra large tattered floral die. Pentart Creamy Acrylic paint "metal"
Thanks for stopping by and joining us.